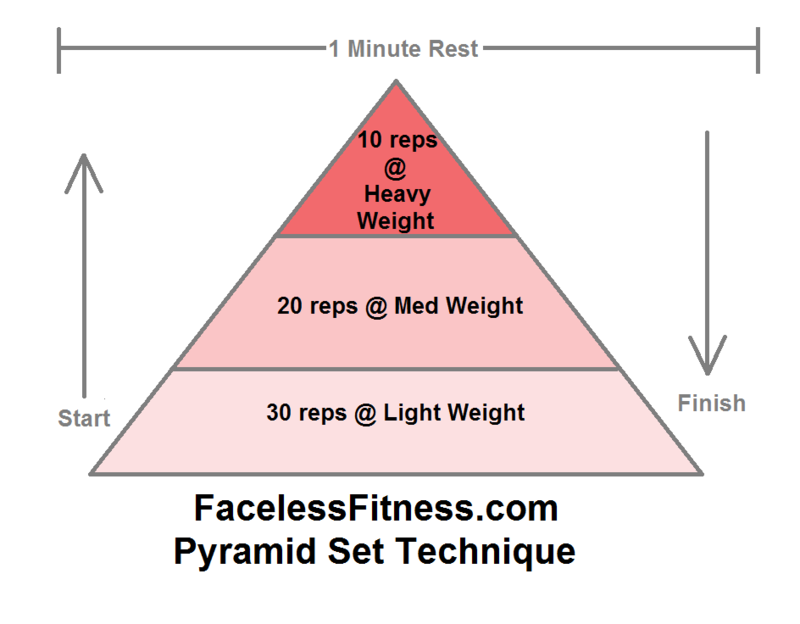 Today for Shoulders I’m going to be using the FacelessFitness Pyramid Set technique, This combines high reps and heavy weights and gets really great results, It works really well for shoulders but can also be applied to any muscle group. However trainer beware you do not want to use this technique on every muscle group every time as it will lead to over training. We did use it last week but I feel fresh enough to go again. Definitely do not use this technique for every muscle group every day! Cardio Mood: Good cardio workout, will look to take this up to 7secs on, 13 off next time. Comment: I’m already spent on this. Really tough to press out the reps! Great! Comment: So hard! Perfect! Used rest & pause technique to finish out all reps! 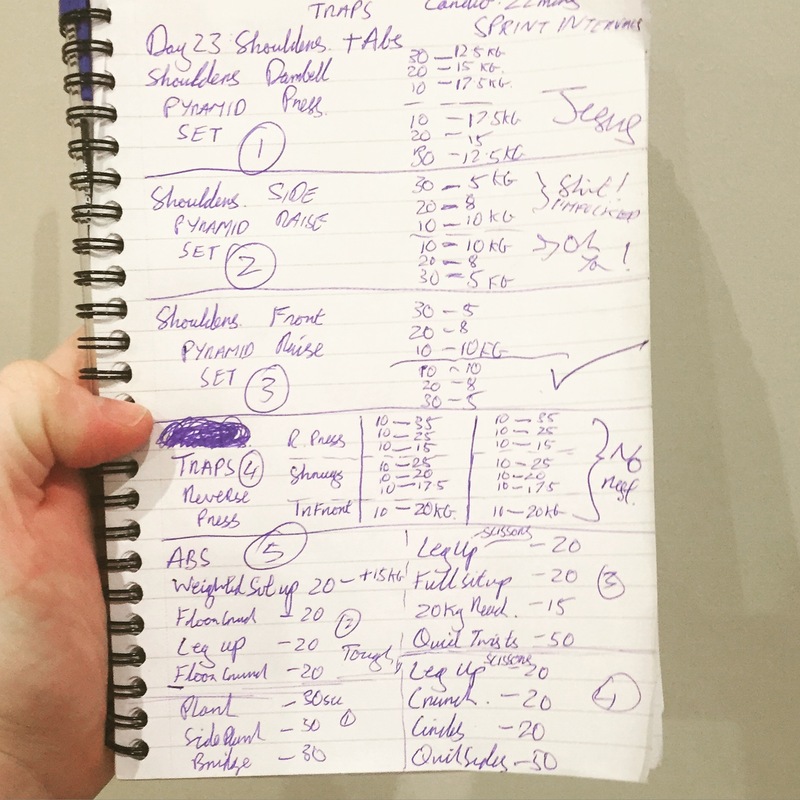 Comment: Really test my shoulders with these sets! Great! We’re not letting up now, Reverse Fly dropset followed immediately by Dumbell Shrug Dropset and finished with IYTW’s. Rest & Repeat! Total: 80 reps, yes 80 reps! Get it done, it’s awesome! Comment: Great set for traps! really good finisher! Comment: Nice Abdominal workout, Need to keep this challenging as possible to grow the abs! Success! Weights Mood: Extremely good workout! I smashed myself tonight are really pushed my body hard on the weights. I was not comfortable at any point which is exactly what you need to get to in every single session. Very satisfied that I’ve done exactly what I need to do.